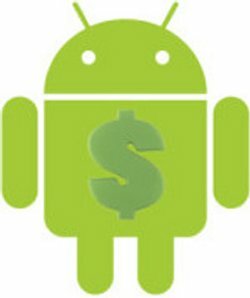 So you want to make money with Android? Sell your Android apps to make a profit? Generate enough revenues from your Android apps that you can quit your job and live off the earnings? Or just learn how to monetize your existing apps? You’ve come to the right place. I’ve set the initial goal relatively low for a reason – I believe that having an achievable medium-term goal, and basing my activities around that goal, is the surest way to success. I could have aimed for $1000 a week, but that would be too far in the future. $1000 per month is equivalent to roughly $230 per week, or $34 per day – which is certainly achievable with some effort. So how to I aim to achieve this? Firstly: build an app. =) It may seem obvious, but the first step towards making money with Android is to actually build a worthwhile app. Not just a throw-away “Hello world” style program, but something really useful. It doesn’t need to be complex – some of the most popular games for Android are really quite basic. But it does need to be a complete application, and have a purpose. Don’t just start writing for Android for the sake of making money. It will be extremely difficult to write a good Android app with money being your sole objective. You need to find a problem to solve, or a need to be met. Then, build “an app for that”. I’ve actually got dozens of ideas – far too many to write myself, and have been sorting through some prototypes in recent weeks. I have now decided on the concept which I’ll be implementing for my first public app. It’s staying under wraps for now, but I can say one thing: my first Android app published on this site will be a Casual Game. So I hope you’ll join me for what will surely be a profitable adventure, and a beneficial exercise in Android development. You can subscribe by email or RSS, and keep up-to-date with my latest progress. Feel free to leave a comment with any questions or suggestions you might have – I’ll be learning along with you, and I’d love to get some feedback on what you do (and don’t!) like about this site. See you soon with the latest info on Making Money with Android!